Nothing quite compares to a FREE music festival with friends and family in the heart of the Rocky Mountains. 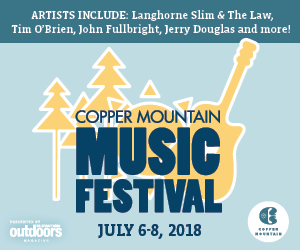 From July 7 – 8, the 4th annual Copper Mountain Music Fest features bluegrass and Americana artists from around the country. 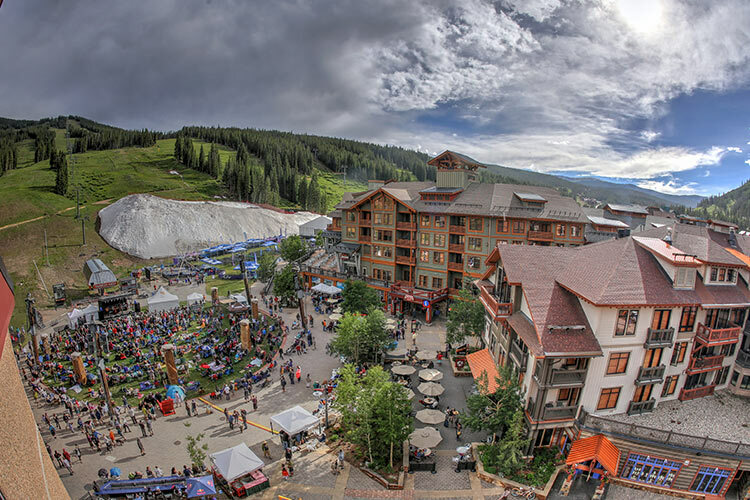 With giveaways from Elevation Outdoors, fireworks on Saturday evening, and kids craft stations, the Copper Mountain Music Festival has plenty to do for the whole family. We are excited to announce that the 2018 lineup: John Fullbright, Langhorne Slim & The Law, Jerry Douglas w/ Jan Fabricius, Tim O’Brien, Aaron Burdett Acoustic Trio, Gasoline Lollipops, Black Lillies, Timber, and more! Copper Mountain is the ultimate summer destination. In addition to the Free live music we offer tons of activities for you and the whole family. For just $69 bucks you can grab a Summer Activity Day Pass that allows you to do the bungee, zip line, Woodward Wrecktange, Rocky Mountain Coaster, Go Karts session, and access to the lake activities and climbing wall. With a thousand ways to play, there are more reasons than ever to stay at Copper! All our lodging accommodations are just steps away from the festival action. Intimate, laid back and unpretentious, Center Village is a kaleidoscope of people watching and activities. Burning Stones Plaza is the main hub for the festival as well as, dining, and shopping. This is the place for you if you want to be in the buzz. Accommodations for any size group or budget are available, all within a short walk. Escape the heat and the crowds and come play outside at Copper Mountain.